Disclaimer: This is a spoiler-free review of the movie Ghostbusters that released this past week. Spoiler-free, not by choice, but by restraint. There is nothing much I can spill as the writing of the movie is the real ghost that needed some major busting. If you stepped into the cinema hall expecting to be blown away, stem your expectations right there. Nip them in the bud. This movie is nothing like its predecessor with the same name. There are moments in the movie that make you feel like you could stay on till the end, but for most part, I was inching towards the exit door. And all the harsh things I say, I say for the script alone. The writing and the setting of the movie is so lifeless, I am surprised the actors did not fall asleep during shots. Or maybe they did, we don’t know that. The casting is spot-on! 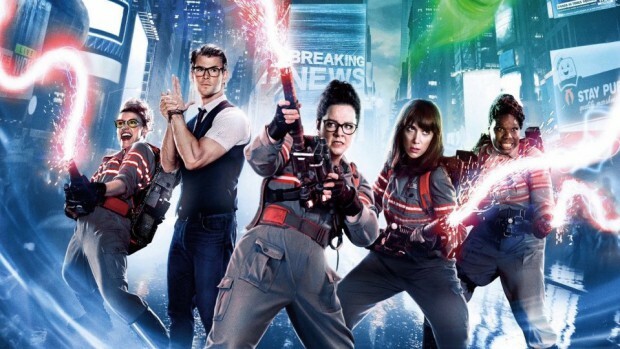 An all-woman ghostbuster squad is a dream concept and despite the bad reception the movie’s trailer received, I was expecting some amazing stuff. Sadly, that did not come. I could not believe my eyes when Thor was wasted away like that. You can call me out for typecasting Chris into a singular role but when you watch the movie (if you do) you will comply by what I say. Melissa McCarthy and Kate McCinnon are great, pulling off a dull story rather splendidly. Leslie Jones as the loud, funny tag-along is bearable too. Kristen Wiig is made to look stone-faced all throughout the movie, except for the times when the ghosts vomit slime on her face. My favourite in the movie is Kate McCinnon. It’s a shame she stands behind Chris Hemsworth(a horrible miscast) in the movie posters. Kristen Wiig is under utilised, there is hardly any depth in her character. However, that is in no way a reflection on her acting prowess. Obviously. The script failed her! Then there is Bill Murray, along with many other actors who appeared in the earlier Ghostbusters movie, trying to pull a Stan Lee with forgettable cameos. Watch the movie if you have loved these brilliant actors on Saturday Night Live and would not mind seeing them being wasted away. Also, find it in your heart to get over Chris Hemsworth’s dumb blonde moments in the movie. He was just acting. I hope.